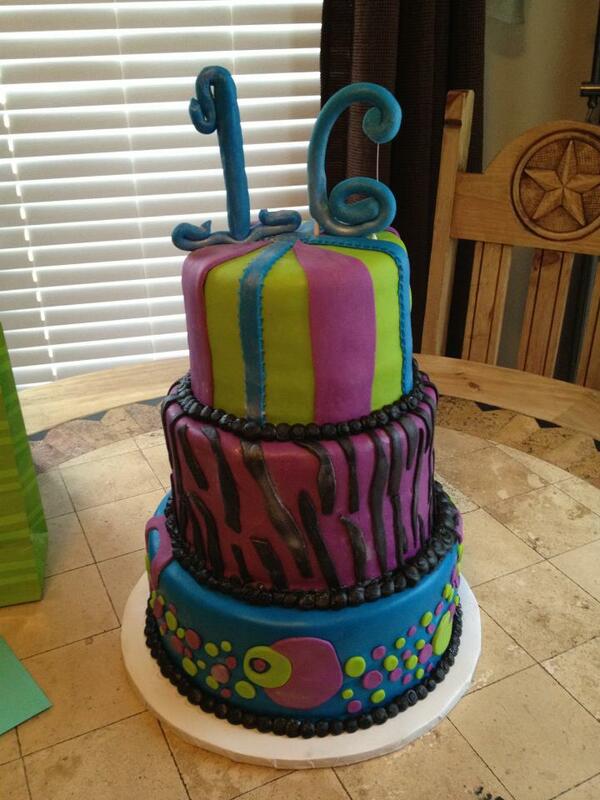 A sweet 16 cake done for my niece Kat! Happy Birthday! This cake was created with many wonderful layers of chocolate and vanilla cake all covered in buttercream icing with fondant.